Necklace - Kate Spade "Gatsby Dot"
Nails - Gelish "Rose Garden"
Greetings, friends! 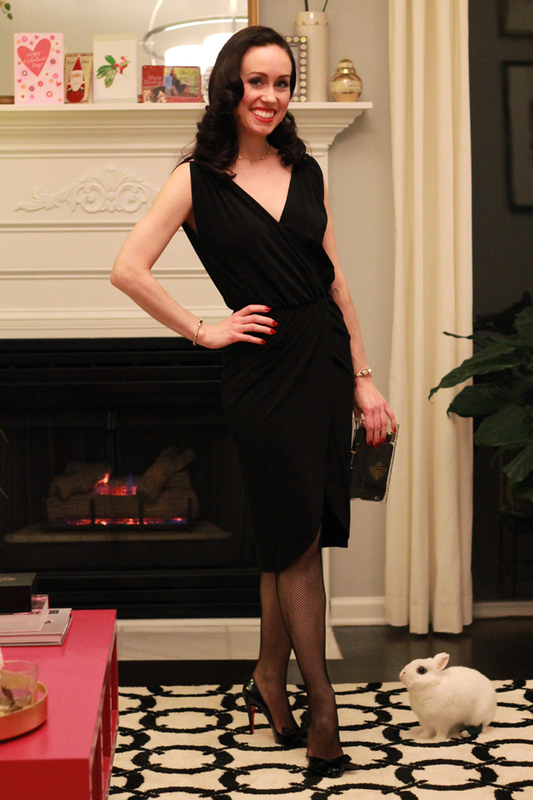 I'm wearing one of my favorite dresses - found at a consignment store almost 5 years ago, I consider this seasonless drapey black Trina Turk dress a wardrobe staple! And if Bandit's eyes look sad, it's because he had eyelid surgery recently and he also hurt his foot - poor little fella. He's on the mend - get well soon! 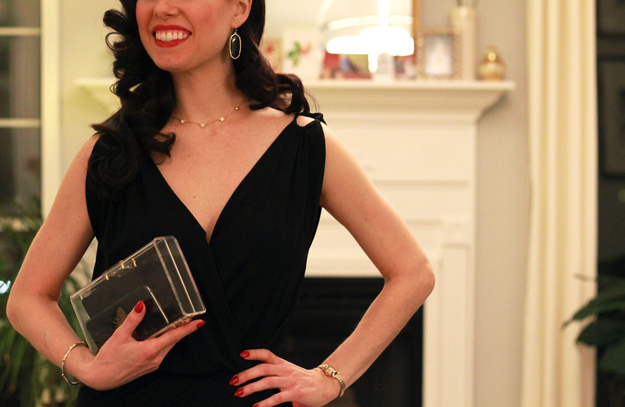 A classic black dress is always perfection. It looks gorgeous with THOSE SHOES. you look sooo stunning! xO!